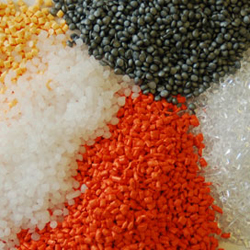 We select, formulate and modify thermoplastic materials, thermoset materials and their composites in the endeavour to develop more sustainable polymeric materials with improved functional and structural characteristics. We also develop their processes and applications until obtaining prototypes at laboratory level and at pilot plant and industrial scale. We are experts in the development and characterisation of functional paints and coatings, to do which we have cutting-edge infrastructures. We also work in the synthesis, formulation, processing and characterisation of smart materials, and in the synthesis and functionalisation of nanoparticles of varying molecular composition and size, according to their final applications. Among others, we collaborate in the automotive, aeronautics, construction, railway, machinery, transport, packaging, electrical-electronic, agriculture textile and biomedicine sectors, where polymeric materials lend added value to product manufacture.